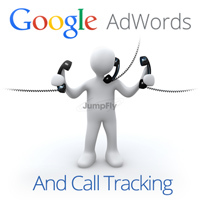 The importance of tracking call activity in the PPC world has long been understood. However, with the number of options available today, knowing the difference between them all can be confusing. In this blog post we will review options available for call tracking with Google. At the most basic level, call extensions can be enabled to have your phone number display alongside ads. There are two options that can be enabled through the AdWords interface called Call Extensions: “My Own Phone Number” and “Google Forwarding Phone Number”. The third option, “Website Call Conversions”, requires additional work of placing code snippets on your business’s website. “My Own Phone Number” will use your business phone number alongside ads. You may consider this option if you have branded your phone number and wish to maintain it as part of your AdWords campaign. “My Own Phone Number” does not allow for tracking or analytics to be associated with the number. Enabling “Google Forwarding Phone Number” will insert a unique phone number alongside your ad to allow for basic tracking and analytics. Details such as area code, time the call was placed, how long the call lasted and if the call was connected are all tracked. Although the number is forwarded, the number on caller ID still appears as the originating phone number. Adding phone numbers through call extensions is easy and should be enabled in most campaigns. Both features can be enabled through the AdWords interface. “Website Call Conversions” is a feature that leverages the benefits of “Google Forwarding Phone Number” but carries the number to the website. A snippet of code is placed on your website which allows a unique Google Forwarding number to display on your site. If the number is called from the website, this would be tracked the same as Google Forwarding number with the same analytics available. The benefit of having Website Call Conversions is that it allows for calls made from your website phone number to be tracked too. Google provides some good options for including and tracking calls. The limitation is that tracking is exclusive to Google advertising and does not provide a means for tracking phone calls that fall outside of this advertising medium. To have a complete phone tracking solution you need to consider a third-party solution such as JumpFly Call Tracking. 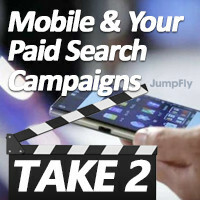 JumpFly Call Tracking and other third-party services offer more complete solutions that allow for phone tracking regardless of advertising platform. Third-party tracking is perhaps the best and most hassle free way of monitoring call activity. Independently adding website call tracking to your online advertising strategy will ultimately result in a more dynamic campaign. As with any solution, understanding the pros and cons of each as they relate to your business goals is ultimately going to dictate which option you choose. Please call the team at JumpFly if you would like to discuss any of these options.